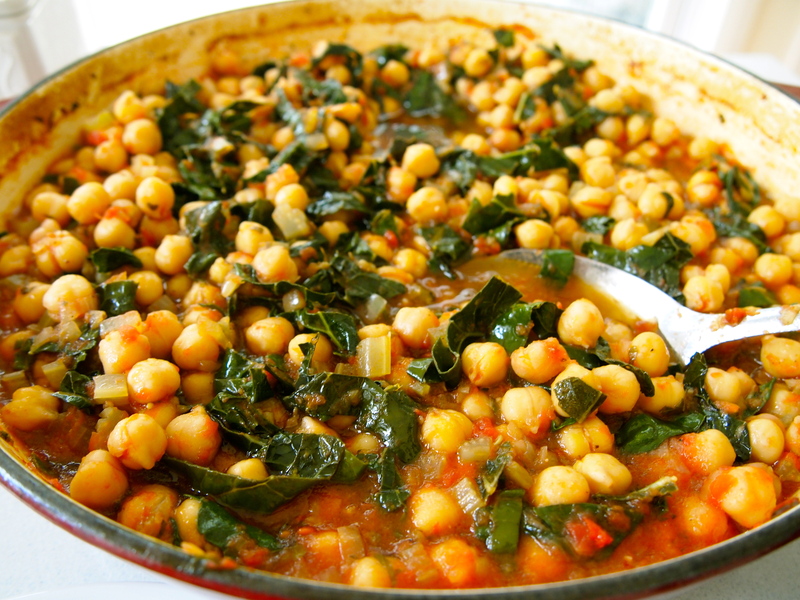 It’s nice after all the excesses of the festive season to post a vegetarian dish that’s certainly hearty enough to have as a main meal but which I also love to serve as a side dish. It does contain a small amount of pancetta but it can easily be omitted and I must say this dish, topped with maybe a fried egg and a side of crusty bread, makes a very nice vegetarian supper. However if you’re searching for a starch to serve with some roast lamb, chicken or even sausages, and you want to avoid the usual potatoes, then you can’t do better. I sometimes add a touch of the Moroccan spice blend Ras al Hanout to give it a slightly Middle Eastern twist which goes especially well with this barbecued butterflied leg of lamb. Cavolo nero is an Italian variety of cabbage with long dark green leaves (I think it’s sometimes also referred to as black kale in America) and its becoming easier to find in Sydney but if you can’t source any it can be replaced with Swiss chard/silverbeet or kale. 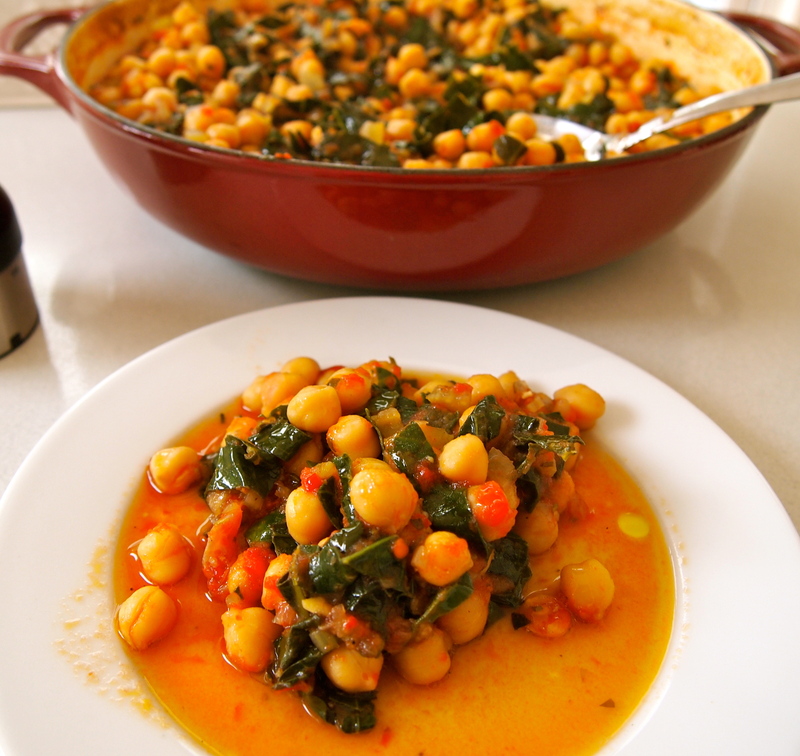 I do urge you to go through the effort of soaking and cooking the chickpeas and not using the canned variety – it makes an amazing amount of difference, to not just the flavour of the overall dish but the texture too. 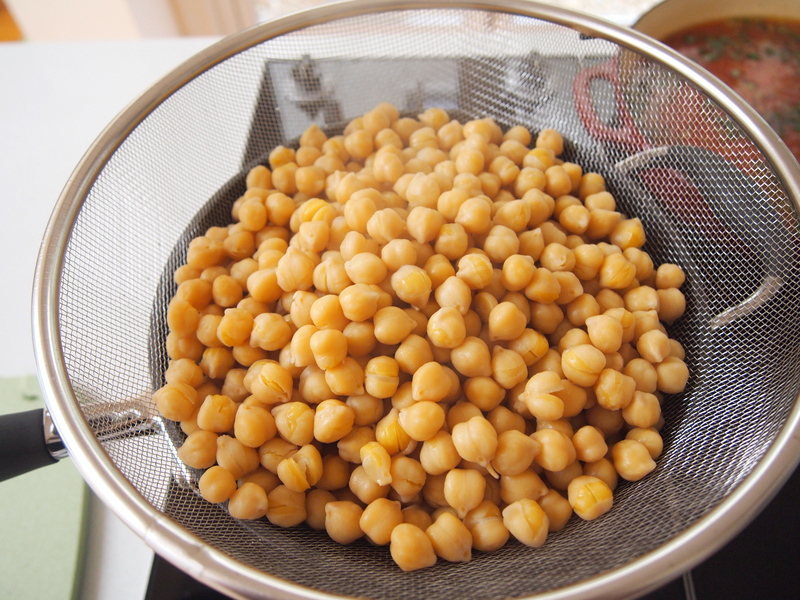 Combine chickpeas and enough cold water to cover generously in a saucepan (do not salt water), bring to the boil over medium heat, reduce heat to low and simmer until just tender (about 30-40 minutes). Drain and set aside. Meanwhile, preheat oven to 150C. Heat half the oil in a casserole over medium heat, add pancetta, celery, onion and garlic and stir occasionally until just tender (20-30 minutes). 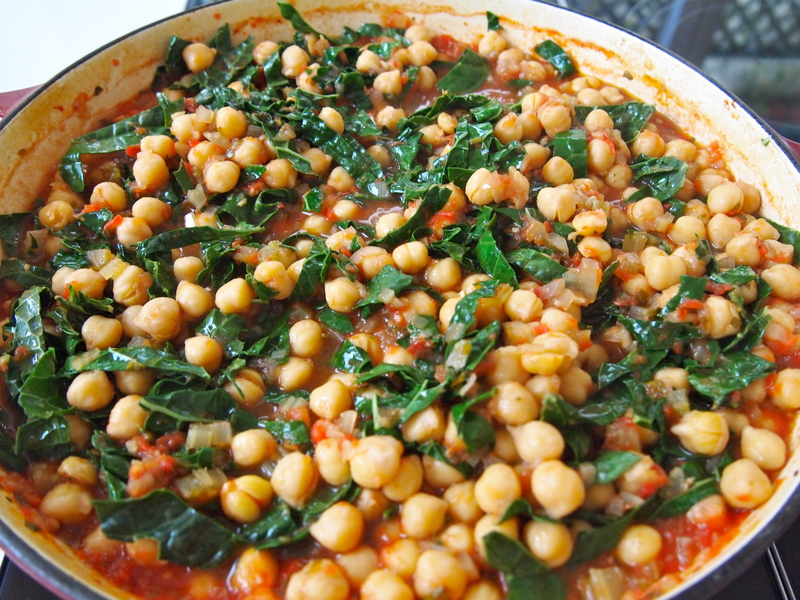 Add chickpeas, stock, tomato, oregano and chilli, season well to taste, cover and braise in oven until chickpeas are tender (1 hour). Stir in cavolo nero and braise until cavolo nero is very tender (30 minutes). Remove from the oven and if the sauce is too thin place over a medium-high heat and cook until reduced to your liking. Serve hot drizzled with a little extra virgin olive oil.